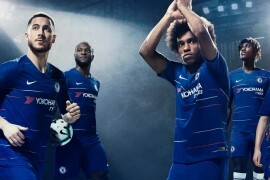 Nike have revealed Phase One of what is sure to be an all-out marketing offensive on this summer’s football action with the launch of their new ‘Risk Everything’ campaign. Hot on the heels of the reveal of all their kits for the international teams participating in this summers World Cup, Nike have put Cristiano Ronaldo, Neymar and Wayne Rooney in the spotlight of what is sure to be their latest smash-hit viral. Having set the standard for World Cup ads with classics like Airport ’98, Write the Future and The Cage, Nike are taking a slower, more measured approach to start things off this year (though that’s not to say we aren’t expecting things to kick off later on!). The spot focuses' on the pressure felt by' some of the world's greatest players as they prepare to play on the world's biggest stage. Ronaldo’s reputation precedes him; hounded by press and worshiped by fans, is his reputation the source of the most pressure? Or is it Rooney? Arriving on the England stage at such a young age, and now one of the veteran members of the squad, he’s aware more than anyone that he’s yet to score – let alone truly deliver – at a World Cup. Neymar has the weight of decades of Brazilian greats literally bearing down on him from above as the shirts of past ‘Number 10s’ line the rafters of the Maracana – is legacy the greatest pressure of all? Nike’s new campaign encourages players and fans alike to Risk Everything on the pitch; be driven on by the pressure and create ‘unexpected moments of greatness’. Hyped for the next stage from Nike Football? Or are you happy to see something a little less bombastic from the Swoosh?